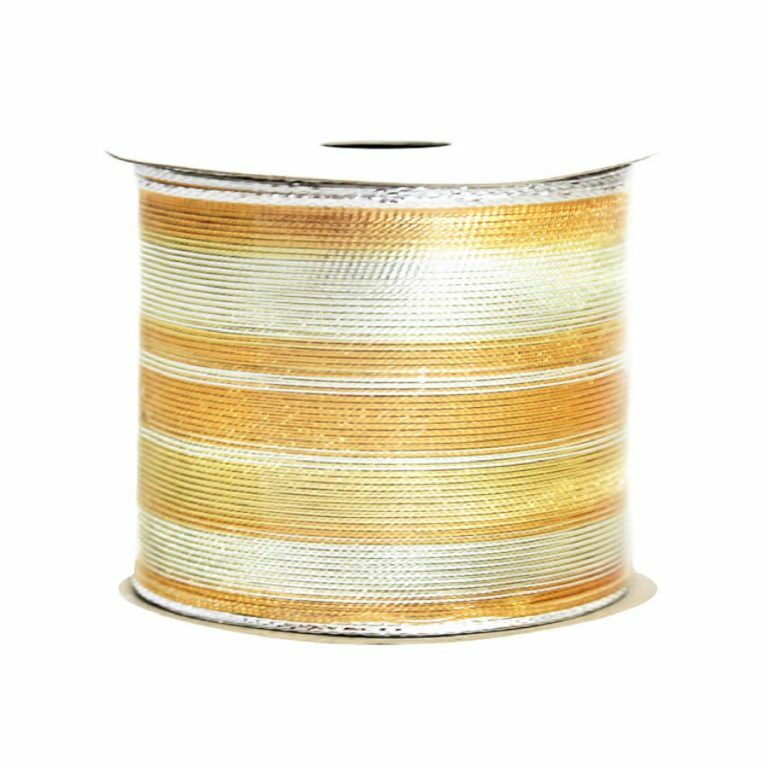 The beautiful ivory and silver Prancing Deer ribbon is an astonishing 9-metres in length, which allows you to use it liberally around the home during the Christmas season. The ample 6.5 cm width allows you to create full bows that will stun, as well as ornate trims that will be admired. 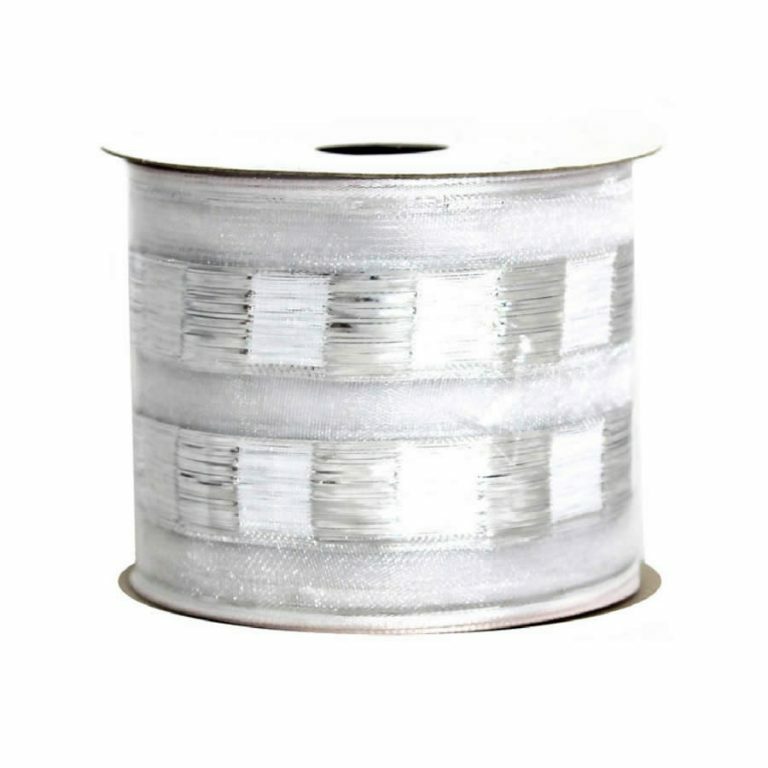 A simple silver braid around the edge of this ribbon hides the wire edging that keeps your bows and creations in place longer than conventional ribbon, too. 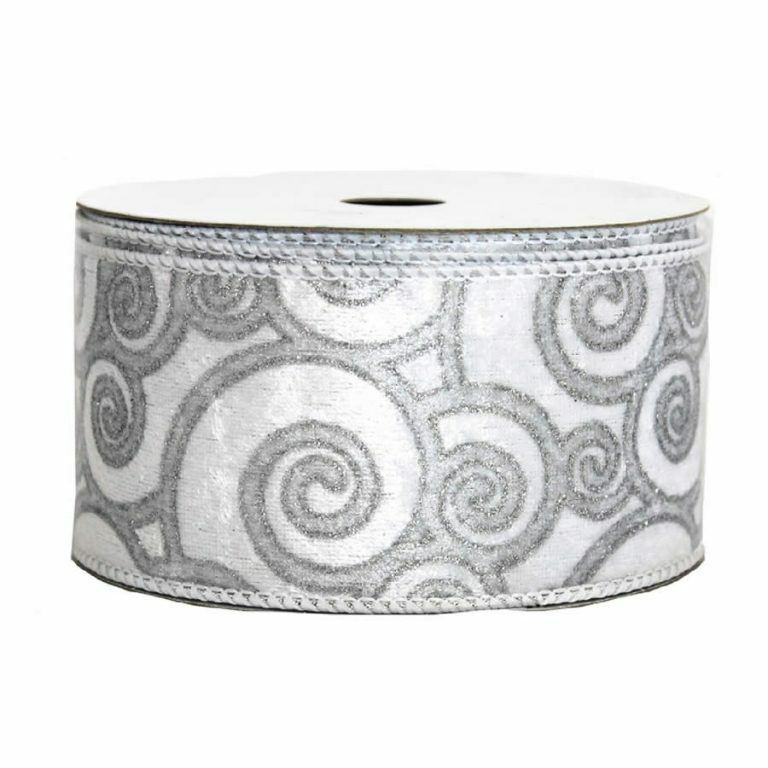 The smart design on the facade of this quality ribbon is adorable. 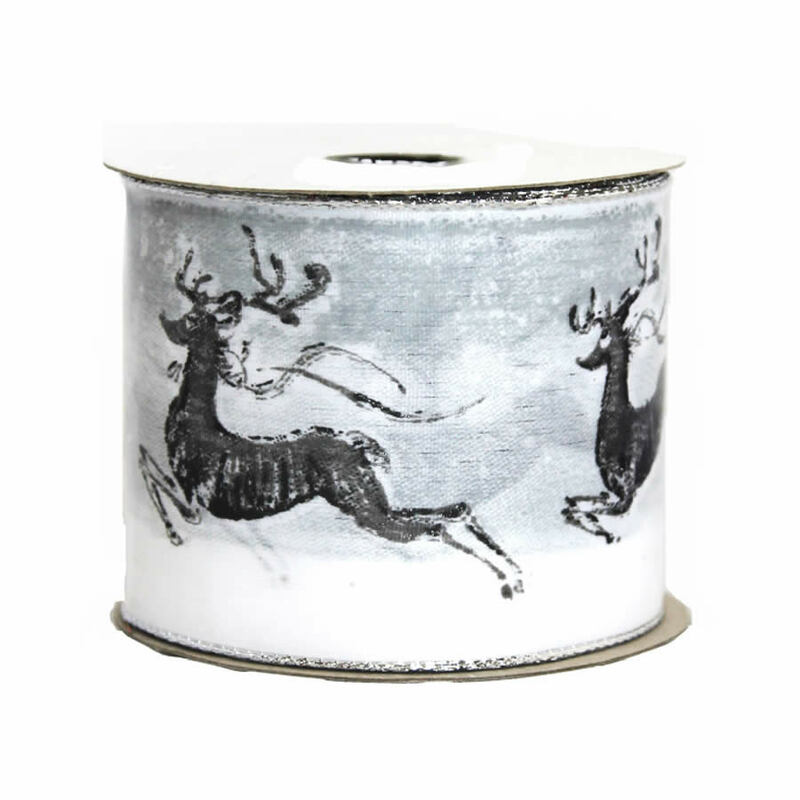 The petite deer prance and dance along the ribbon’s length which gives it a whimsical and fun flair. 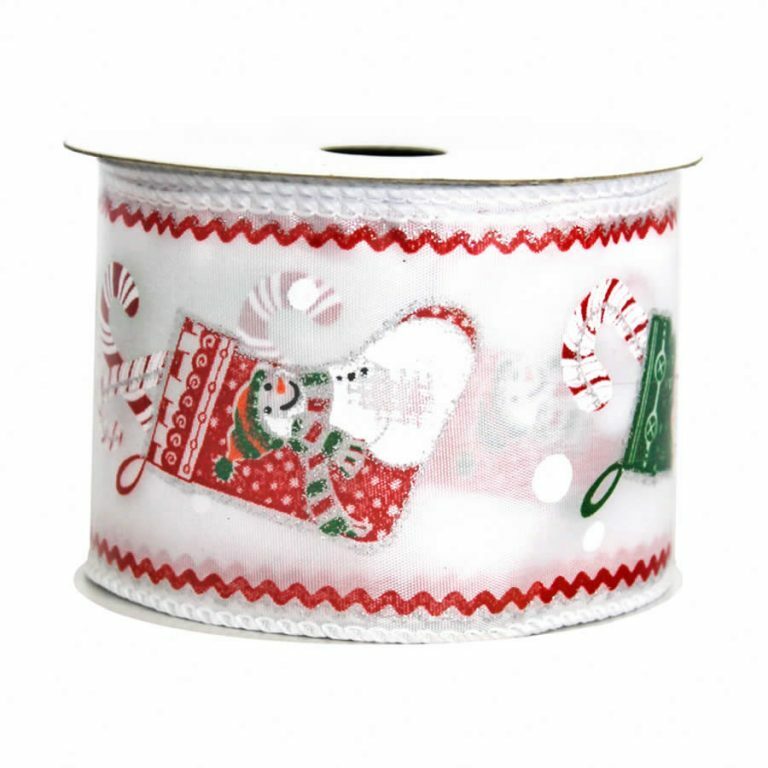 Enjoy using this ribbon on packages, wreaths, and even your tree this season! This is definitely an accent that you want to keep on hand during the holidays.